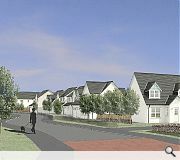 Kirkwood Homes have stated their intent to construct 150 homes in Broughty Ferry, Dundee, following outline discussions with the city council. 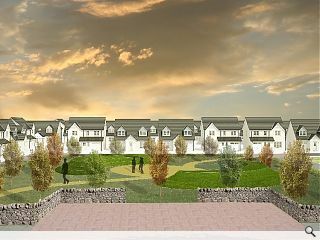 Each property will range in scale from three-bed terraces to five bedroom detached houses although all will adopt a contemporary take on the ‘rural vernacular’ in wetdash and timber. 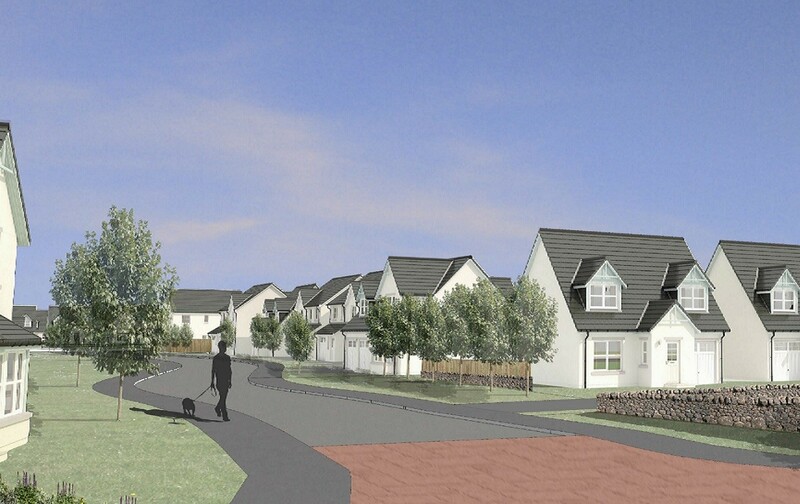 Outlining their design development the house builder claimed: “The vision for the overall development framework is to create a diverse and varied mixed-use development creating distinct, identifiable areas within the overall new neighbourhood. 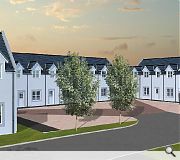 Kirkwood Homes advise that their design is likely to evolve further through the planning process with delivery anticipated to be phased in lock step with market demand. Sorry, you seem to have used the wrong imagery with this article. I've looked closely, and can't see any relation between the words and images at all. So what makes this distinct from any other volume housebuilder development? Also, to describe Linlathen as being Broughty Ferry is stretching reality just a bit thin. 'Rural vernacular' is an interesting way to say 'same old guff served up by all the other mass housebuilders'. I came back from The Netherlands recently. The housing design there makes me wince when I come back to the UK. Scary army of dull repetitious suburban housing developed as closely together as possible. The use of the design speak, "contemporary take on the ‘rural vernacular'" is laughable and is used just to tick the planners boxes. Adding "key landmark features" does not disguise the fact that this is a just another monotonous suburban housing development made with maximum profit for the developer in mind. Why do developments like this still get through? What exactly is 'Distinct' about the proposed design shown here? Where exactly is the 'village green' space shown as referenced in the 2nd image note? How exactly does the 'hierarchy' of roads/pavements/shared surface lanes manifest itself in image 3? I see a road leading to a car park with some grass in between. I don't even see a path leading to the door of the house. There is something distinct about this scheme, but it's not a positive, that's for sure. I like how they're being distinct in a hipster sense, by subtly undermining banality in all its forms by copying all it has to offer. i believe the Scottish Vernacular is 'Pish'. I have actually lived in one of these hutches. Not something to be considered lightly, believe me. I agree that, compared to places like Holland, etc, we could and should be doing better than this, design wise. However, to be fair, at least this is much better than the same kind of schemes put up in the 60s and 70s. We've come on since then in terms of function but not form. #3 Basho, do you have any links for the netherlands please? I can't seem to see the obligatory suds pond which has had to be fenced off for Health and Safety reasons ?!? #9 Terra, I might respectfully suggest that some of 60's and 70's suburbia might be preferable to this, as at least the houses had decently sized rooms. The UK housebuilder offers some of the worst value in the world when it comes to £/sqft. It's thu Netherlands, no Holland. Anyhoo,Whit's so great aboot these places that thu lefties on here keep oan referencing? If it's no the Netherlands, it's Norway, Sweden, etc. Whit is so profound about this dumbed down, modernist shape making architectshure that these countries excell at? Is it thu fact that these countries bang thu drum fur 'multiculturalism' and multiclturalism is intrinsically anti-Christian and according tae lefties/socialist/communsts etc, yous hate Judeo-Christian civilisation thus yous hate the architectshure they assochiate wae it? Thus, traditionalism is seen as backwards becaoz it seeks to extoll thu virtues ae Scotland an the aesthetics ae ur oan built environment? And this offends yer left-wing sensibilities. Is that wi yer mean? Funnily enuff, when that gold domed building wiz getting built in glesga -- that Sikh temple hing, yous lot were crowing about how nice it wiz. But if it wur a catholic church getting built in a traditional arhitecshure, u'd be raging'. Gee, I wonder why? Fur whit it's wurth, these hooses ur awright. Far better than the blocky concrete tripe gracing Scotland at present. And far nicer lookin than the tatt gracing ur idealistic nirvanas in Malmo an Rotterdam. The utter banality of such housing is difficult to believe. Perhaps the principle crime is that organs of the press are prepared to give any form of credibility to the fantasy comments from the builder developers. Imagine the impact if UR ran a two line article edged in black bemoaning the fact that Broughty Ferry is the latest location to undergo unacceptable development pressures. Builders of this quality simply must be named and shamed as it is unrewarding and unrealistic to attempt to polish a turd. BC's a 'traditionally minded' bigot. Who coulda guessed? Hmm. Only 7 points today. If we're being pedantic, Rotterdam is in Holland - the Netherlands province of South Holland. This type of banality is the toughest nut for a planner to crack. It is not helped that A+DS keep,banging on about Polnoon and The Drum. These are atypical in that the factors of production were skewed. What is really difficult to break down is the standard model with a volume house builder. I remember one conversation when faced with the standard crap only to be told by the house builder that all his houses were BESPOKE, as each standard house still has to be fitted to the site, hence were bespoke. Did have one partial breakthrough, but that is another story. Agree with Dave - the images appear to be any mass volume developer. 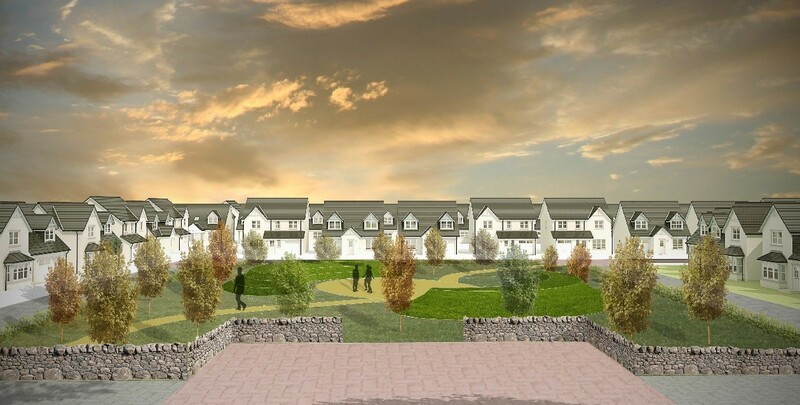 In fact the factored 'village green' looks very like that at a Bellway/Persimmon development in Dunfermline in an area where thousands of houses have been built by Cala, Barrat, Taylor Wimpey etc etc. 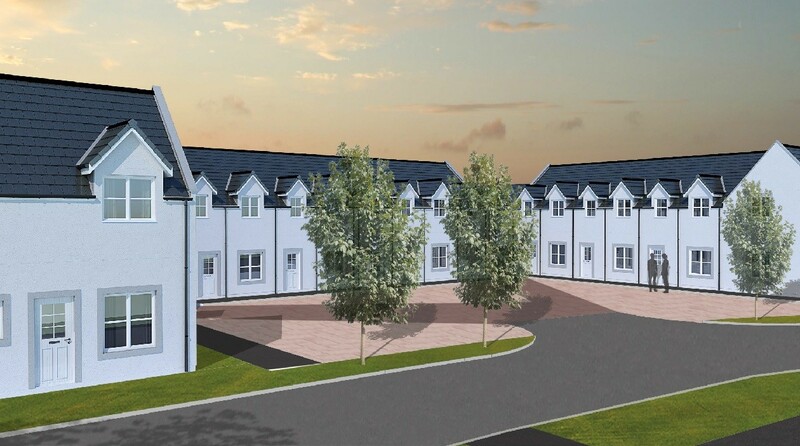 "it is considered crucial to prevent a monotonous feel to the development" - again the images show the entire estate is built of white rendered houses and dark roofs that look consummately monotonous and not distinct. In fact it is every other suburban new build estate!